Polly Creek Ranch is 2710 acres with 221 acres of irrigation water rights. Fields are planted in alfalfa and grass hay irrigated with pivots for livestock. Ranch includes: well maintained 1698 sf home, detached 3 bay garage, 3360 sf shop with office, hay barn, corrals and pond. Abundant wildlife includes pronghorn, elk, turkeys, deer. Mill Creek and Polly Creek run through the property and ranch borders Ochoco Reservoir for fishing and boating. 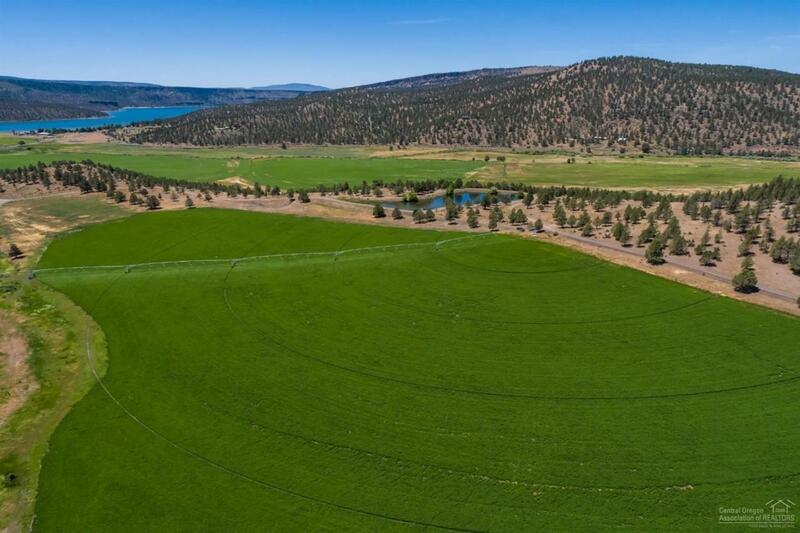 Recreational Lifestyle Ranch, 10 minutes to Prineville. © 2019 MLS of Central Oregon (MLSCO) . All information is deemed reliable but is not guaranteed and should be independently verified. The content relating to real estate for sale on this website comes in part from the MLS of Central Oregon. Real estate listings held by Brokerages other than Windermere Central Oregon Real Estate are marked with the Reciprocity/IDX logo, and detailed information about these properties includes the name of the listing Brokerage. All content displayed on this website is restricted to personal, non-commercial use, and only for ascertaining information regarding real property for sale. The consumer will not copy, retransmit nor redistribute any of the content from the website. The consumer is reminded that all listing content provided by automatic transmission by MLSCO. This content last updated on 2019-04-26T06:43:51.547. Some properties which appear for sale on this website may subsequently have sold or may no longer be available.